Tributes flooded in from around the world for the Bronx-born DJ, whose early singles 'The Whistle Song,' 'Rainfalls', 'Tears', 'Your Love', 'Baby Wants To Ride', and 'Workout' launched a career that would see him work with stars including Diana Ross, Chaka Khan, Whitney Houston, Depeche Mode and Michael Jackson. 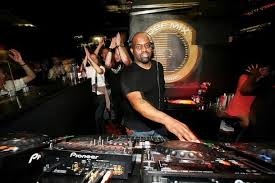 Born in the Bronx in 1955, he formed Def Mix Productions with David Morales. Knuckles first played disco in New York alongside Larry Levan before moving to Chicago in the 1970s. It was there he started spinning at The Warehouse, "The club credited with giving birth to the house music genre," before opening up his own venue The Power Plant in 1983. 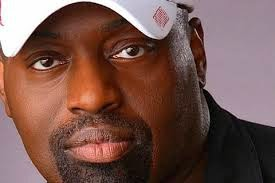 The City of Chicago renamed a stretch of Jefferson Street, near the site of the original Warehouse club, as "Frankie Knuckles Way" in 2004. What Knuckles would spin evolved into its own genre, as producers used drum machines to produce less expensive version of popular dance styles. Knuckles would also begin to do his own edits, remaking disco tracks to make them work better for his dance floor. “God, "Whomever yours may be," has a place on the dance floor for everyone. We wouldn’t have all the things we have if it wasn’t for God. We wouldn’t have the one thing that keeps us sane – music. It’s the one thing that calms people down.